Let us begin by understanding that the entire basis for declaring the second most vital gas on Earth, carbon dioxide, a “pollutant” that requires regulation and is the object of a proposed elaborate “cap-and-trade” scheme is the generation of enormous amounts of money for the government while allowing it to exercise complete control over the use of any energy for any purpose. Carbon dioxide is said to be the chief cause of “global warming”, but there is NO global warming. The Earth continues to COOL—ten years since the completely natural cycle began in 1998. Nor is the Earth running out of energy sources such as oil, natural gas or coal. Here in the United States, however, Americans have long since run out of access to the extraction of the vast amounts that reside under the states and the offshore continental shelf. When you control energy, you control people’s lives and the entire economy. Simple example; a blizzard causes power lines to fail. All of a sudden people served by those lines are at risk of freezing to death. Another example, power fails during a heat wave. The elderly and ill are at risk of death for lack of air conditioning or even an electric fan. In 1995, a heat wave in Chicago killed over 600 people. So, when House Energy and Commerce Committee Chairman, Henry A. Waxman, a California Democrat, and Rep. Edward J. Markey, a Massachusetts Democrat, conjure up an energy/climate bill designed to curb carbon dioxide emissions alleged to be causing “global warming”, they are perpetrating a massive fraud on Americans. When that bill includes a provision that would permit anyone, absolutely anyone, to sue the government as victims of global warming and in anticipation of suffering as the result of global warming, Waxman-Markey have opened the door wide to a deluge of lawsuits that have no merit whatever in scientific fact or truth. In practical terms, this means everyone with shorefront property can sue the government for a predicted loss due to rising sea levels. The fact that they have been rising naturally at a rate of a few insignificant millimeters a year for centuries will surely be ignored. The law as currently written—but subject to change as it goes through the standard legislative practice when the two houses of Congress seek to achieve agreement—would allow citizens to seek up to $75,000 in damages from the government each year, but would cap the total amount paid out each year at $1.5 million. It is a little known fact that many environmental organizations reap vast amounts of money suing the government over the enforcement of various laws affecting clean air, clean water, and endangered species. The Western Environmental Law Center is just one example. 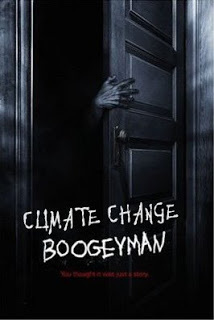 It just sent “an urgent letter to Lisa Jackson, the Environmental Protection Agency administrator, asking her to “speed issuance of regulations aimed at restricting greenhouse pollution to include black carbon, or soot, among climate forcing agents to be regulated.” Soot! Can anyone cite a single example of how human activity could possibly cause or prevent “unmanageable and calamitous disruption of the climate system”? As this is written, Mount Redoubt in Alaska is threatening a huge volcanic explosion and there is nothing the good citizens of Alaska can do about it. In Italy, whole villages were wiped out by a recent earthquake and there was nothing they could do about it. A tsunami hit Indonesia some years ago, killing thousands, and there was nothing anyone could do about it. At the White House, the new science advisor to the President is proposing an utterly crazed scheme to shoot “pollution” into the Earth’s atmosphere to reflect back the Sun’s rays to stave off global warming. The Sun, meanwhile, has gone scarily “quiet” for several years with virtually no magnetic storms (sunspots), thus reducing its production of solar energy to warm the Earth. Yet there is a new law making its way through Congress that posits that the federal government can do something about a “global warming” that is not occurring and permits any one of the 310 million Americans to sue the government for failing to take action. The end result of the Waxman-Markey law would be to vastly enrich the many environmental organizations that would be filing hundreds of thousands of suits and ultimately collecting millions, if not billions, of dollars on the basis of something that is not occurring and the alleged inaction of the government to stop it! Only the collected stupidity and indifference of the American people will permit this new law to reach the desk of the President who will surely sign it. It is a death warrant for our lives, our economy, and our nation. Alan Caruba states, "Only the collected stupidity and indifference of the American people will permit this new law" which I strongly disagree with because here in New York the majority of people are skeptical of these and many other laws and yet RGGI.org is taking in $Millions in the name of 'cap and trade' — without a law even being passed. Madoff got away with stealing in New York for decades, so RGGI.org potentially has decades of 'carbon allowance revenue' ahead of them. I created http://www.CO2isOK.org to stand up to the pirates at RGGI.org. Your site CO2isOK.org is now linked on the right sidebar.